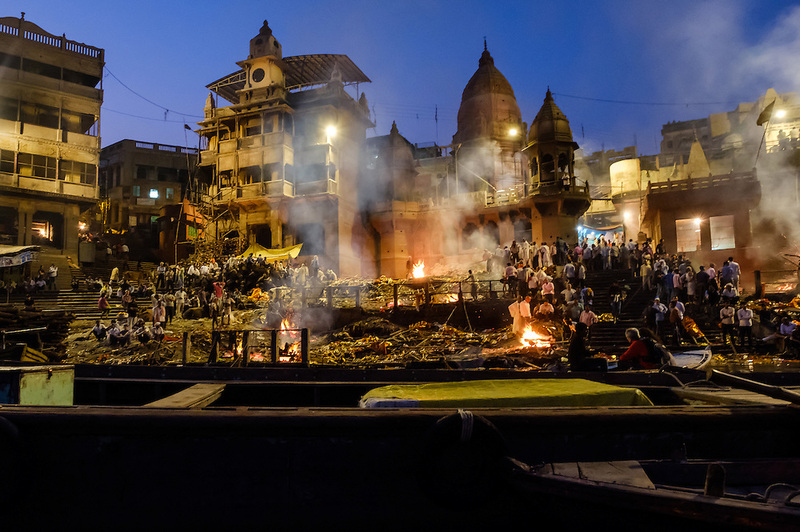 VARANASI, INDIA - CIRCA NOVEMBER 2016: Cremation in progess at the Manikarnika Ghat. This is is one of the oldest ghats in Varanasi, and most known for beign the primary place for Hindu cremations. The city of Varanasi is the spiritual capital of India, it is the holiest of the seven sacred cities in Hinduism and Jainism.